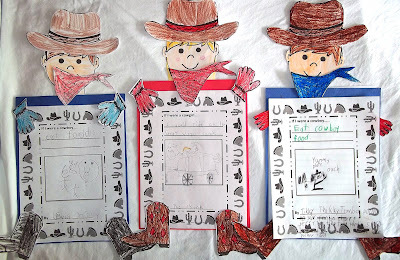 If you're working your way through Scott Foresman's 2nd Grade Reading Street, and are reading Cowboys or your students are learning about cowboys, this post is for you. First, we read the Cowboys reading selection, talked about the pictures, worked with the new words, and talked about what it would be like to be a cowboy--or cowgirl too of course. Then we worked through my Cowboy or Cowgirl Glyph. We started out with the glyph questions and patterns. If you're not familiar with glyphs, they are a visual way to represent data. For this glyph, depending on how you answered questions about cowboys, you colored the hat, boots, bandanna, and gloves a certain color. 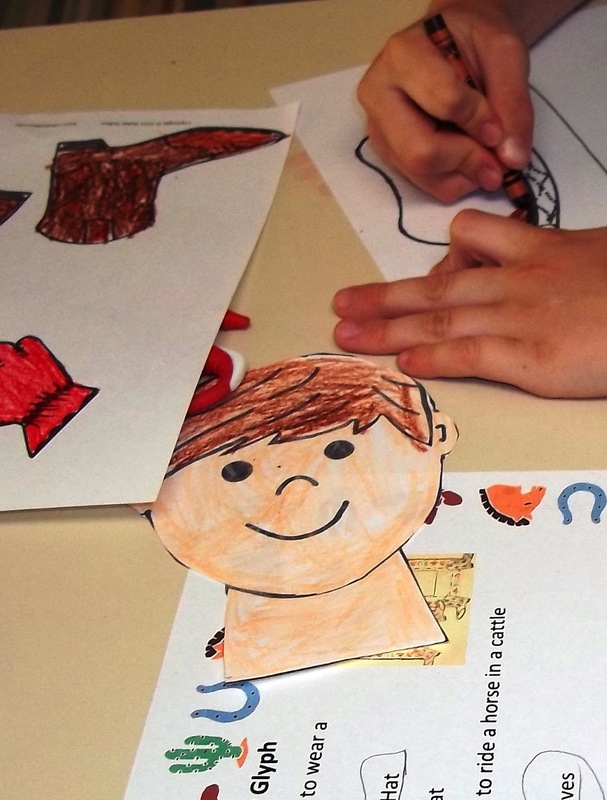 You could also use the same items printed on colored construction paper. Then we worked on some writing. The prompt was simple... "If I were a cowboy ...." and "If I were a Cowgirl...". 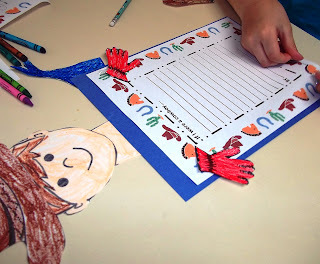 This writing prompt was part of each cowboy and cowgirl craft. Next, we looked at all the glyphs and worked a bit with data analysis and graphed the results from our cowboys. Check out the results! The kiddos even named their cowboys and cowgirls. If you can read the writing prompts above, it looks like the line from Cowboys in Reading Street 2 about what cowboys eat made a lasting impression. They wanted to eat cowboy food! But I didn't add that to the plan--maybe next time. You can purchase my Cowboy and Cowgirl Glyph HERE at my Teachers Pay Teachers Store.